It’s been a long time since we’ve made anything for Dale to add to the collection of lovingly made items in his office! And it’s been quite a long time since we’ve done some crafting. 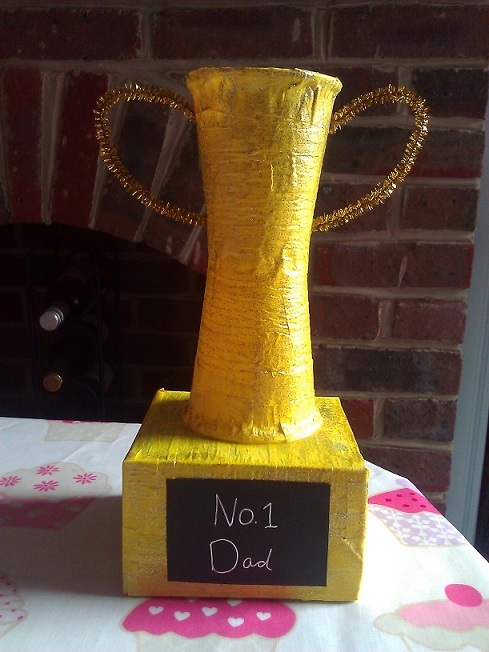 So, Grace and I thought we’d make a trophy for Father’s Day. After hunting online for inspiration, we found some instructions on this site and set about sticking plastic cups together, adding pipe cleaners, painting and glueing to produce our finished trophy. What do you think? Grace was really pleased with the finished trophy and I think Dale was too! 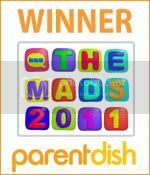 Hope you all had a fantastic Father’s Day. Previous postMini almond puddings Next postCCC Eastleigh - Drink Up! Haha, that is quite impressive. I always felt a bit more ‘touched’ when my kids went to effort of making something for me. Very nice gesture.